Grab your marbles and let the games begin! 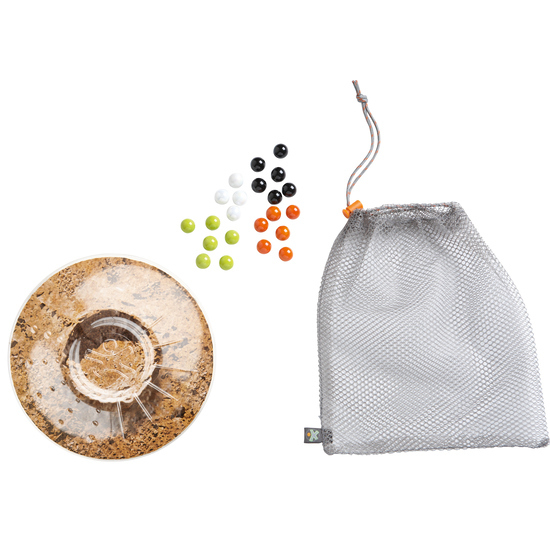 The set not only includes marbles in 4 wonderful colors, it also comes with instructions for game ideas inside and outdoors. Contents: 1 cut-out marble volcano, 22 marbles (6 green, 6 orange, 6 black, 4 white), 1 storage bag, 1 set of instructions.